Nurture the whole child by supporting our enrichment programs. We strive to nurture the whole scholar - mind and body. 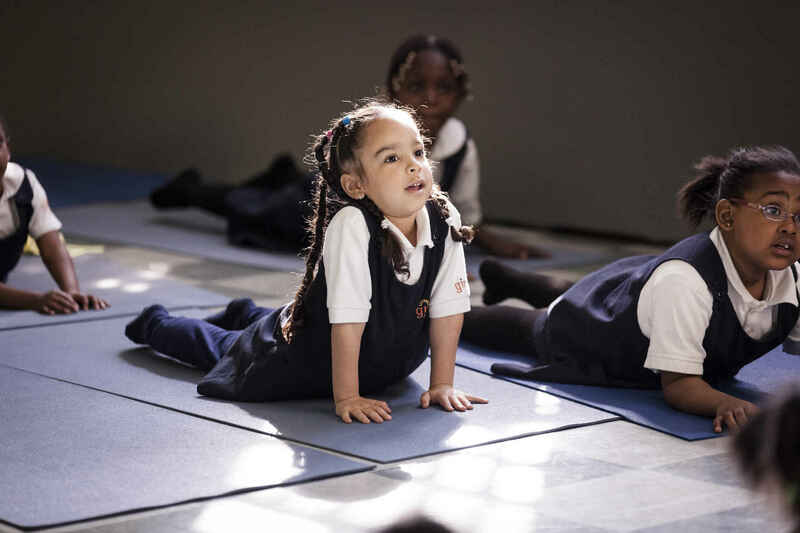 Scholars participate in "specials" that expand their creativity and promote a healthy lifestyle, including yoga and mindfulness, visual arts, music, physical education and martial arts. These classes, and our external partnerships with organizations such as Chess in the Schools, National Dance Institute, and The Public Theater, help scholars develop skills such as self-expression, perseverance, and improving based on feedback early on in life that will help carry them through college and ultimately lead fulfilling lives.